Salman Khan and Shah Rukh Khan have done this quite a few times and so has been the case with Ajay Devgn and Akshay Kumar. There have been countless instances of superstars making cameos for people near and dear to them. Salman Khan and Shah Rukh Khan have done that quite a few times and so has been the case with Ajay Devgn and Akshay Kumar as well. Deol and Dimple Kapadia go back a long way. Now that latter's sister Simple Kapadia's son Karan is making his debut with Blank, Deol is stepping into a crucial part for the suspense action entertainer. 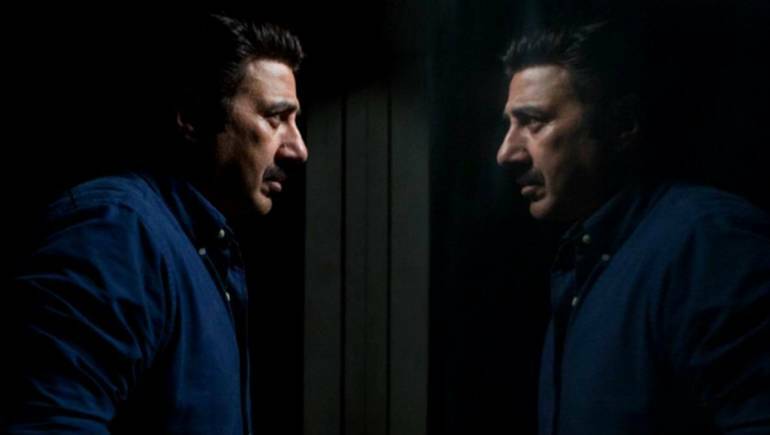 Looking at the promo of the film, one can expect yet another powerful performance from Deol who plays an officer at the Intelligence Bureau (IB). Back in time when Armaan Kohli was making a comeback with Jaani Dushman, a good part of the industry came together to support the youngster. That was also due to the kind of goodwill that his father Raj Kumar Kohli enjoyed for decades. While Deol was the senior most actor to lend his presence, Kumar and Shetty stepped in as well for good support. Kumar had worked with Keshu Ramsay in number of films right from his early days in the industry. Later, when Ramsay produced Family for his son Aryeman, Kumar stepped in the part of his elder brother. He was bumped off soon in the film where the plot revolved around the younger brother avenging his death. Amitabh Bachchan played the lead antagonist. While Salman had supported Sohail in his early days as a director, he also stepped into Main Aurr Mrs. Khanna. The film featured Sohail as an actor and revolved around his character which fell in love with a married woman played by Kareena Kapoor. Salman Khan stepped into the part of her husband for this film where he was not really the central character. Salman had also played an important part in the launch of Ranbir Kapoor and Sonam Kapoor in Saawariya. He played Sonam's love interest in the film. Since director Sanjay Leela Bhansali and Salman had worked together in Khamoshi and Hum Dil De Chuke Sanam before, the latter gladly stepped in. Billu was Shah Rukh Khan home production and hence it was obvious that he played a key part in the film. The story revolved around two friends where one becomes a superstar and another stays on to be a small town simpleton. The film was based on a story that had earlier been seen as Kuselan where Rajinikanth played a similar role. It did not do too well though. Shah Rukh had also worked in another south adaptation, Shakti: The Power. Instead of her being a newcomer here, Karisma Kapoor had in fact signed this one as her last film as a leading lady. Perhaps that was the reason why Shah Rukh stepped into this interesting role of a saviour. The film is most remembered for his song with Aishwarya Rai, 'Ishq Kameena'. When it came to the directorial outing of his wife Kiran Rao, Aamir stepped in as one of the protagonists for art house cinema Dhobi Ghat. The film in fact had Prateik Babbar in a prominent part and the makers did not hide that fact either. The film did critical appreciation from some quarters though commercially it could not really cover much of a distance. Another film which could not really cover much of a distance was Taarzan - The Wonder Car. Vatsal Seth was the lead protagonist in the film and Devgn played his father. As a soul trapped in a car designed by him, Devgn had a decent screen time in the film. He did the film for producer Gordhan Tanwani with whom he had delivered a superhit in the form of Ishq earlier. In the closely knit industry where star kids go back a long way, Hrithik Roshan stepped in to support siblings Farhan Akhtar and Zoya Akhtar for their Luck By Chance. While Zoya made her directorial debut, Farhan stepped in as a leading man yet again after Rock On. Roshan played the part of a Bollywood superstar in the film and had a reasonable role. He was good in there.